The Easter hotspot is marked 7 on map. Isla Salas y Gómez, also known as Isla Sala y Gómez, is a small uninhabited Chilean island in the Pacific Ocean. It is sometimes considered the easternmost point in the Polynesian Triangle. Meiji Seamount, named after Emperor Meiji, the 122nd Emperor of Japan, is the oldest seamount in the Hawaiian-Emperor seamount chain, with an estimated age of 82 million years. It lies at the northernmost end of the chain, and is perched at the outer slope of the Kuril-Kamchatka Trench. Like the rest of the Emperor seamounts, it was formed by the Hawaii hotspot volcanism, grew to become an island, and has since subsided to below sea level, all while being carried first north and now northwest by the motion of the Pacific Plate. Meiji Seamount is thus an example of a particular type of seamount known as a guyot, and some publications refer to it as Meiji Guyot. Poike is one of three main extinct volcanoes that form Rapa Nui. At 370 metres, it is the island's second highest point after Terevaka. Rano Kau is a 324 m (1,063 ft) tall extinct volcano that forms the southwestern headland of Easter Island, a Chilean island in the Pacific Ocean. It was formed of basaltic lava flows in the Pleistocene with its youngest rocks dated at between 150,000 and 210,000 years ago. Ma′unga Terevaka is the largest, tallest and youngest of three main extinct volcanoes that form Rapa Nui. Several smaller volcanic cones and craters dot its slopes, including a crater hosting one of the island's three lakes, Rano Aroi. The Pukao Seamount is a submarine volcano, the most westerly in the Easter Seamount Chain or Sala y Gómez ridge. To the east are Moai (seamount) and then Easter Island. It rises over 2,500 metres from the ocean floor to within a few hundred metres of the sea surface. The Pukao Seamount is fairly young, and believed to have developed in the last few hundred thousand years as the Nazca Plate floats over the Easter hotspot. The geology of Chile is a characterized by processes linked to subduction such as volcanism, earthquakes and orogeny. The buildings blocks of Chile's geology assembled during the Paleozoic Era. Chile was by then the southwestern margin of the supercontinent Gondwana. In the Jurassic Gondwana begun to split and the ongoing period of crustal deformation and mountain building known as the Andean orogeny begun. In the Late Cenozoic Chile definitely separated from Antarctica, the Andes expienced a great rise accomplained by a cooling climate and the onset of glaciations. The Pitcairn hotspot is a volcanic hotspot located in the south-central Pacific Ocean. Over the past 11 million years, it has formed the Pitcairn-Gambier hotspot chain. It is responsible for creating the Pitcairn Islands and two large seamounts named Adams and Bounty, as well as atolls at Moruroa, Fangataufa and the Gambier Islands. The hotspot is currently located at Adams and Bounty, which are ~60 kilometers East-Southeast of Pitcairn Island. The Nazca Ridge is a submarine ridge, located on the Nazca Plate off the west coast of South America. This plate and ridge are currently subducting under the South American Plate at a convergent boundary known as the Peru-Chile Trench at approximately 7.7 cm/yr. The Nazca Ridge began subducting obliquely to the collision margin at 11°S, approximately 11.2 Ma, and the current subduction location is 15°S. The ridge is composed of abnormally thick basaltic ocean crust, averaging 18 ±3 km thick. This crust is buoyant, resulting in flat slab subduction under Peru. This flat slab subduction has been associated with the uplift of Pisco Basin and the cessation of Andes volcanism and the uplift of the Fitzcarrald Arch on the South American continent approximately 4 Ma. Foundation Seamounts are a series of seamounts in the southern Pacific Ocean. Discovered in 1992, these seamounts form a 1,350 kilometres (840 mi) long chain which starts from the Pacific-Antarctic Ridge. Some of these seamounts may have once emerged from the ocean. 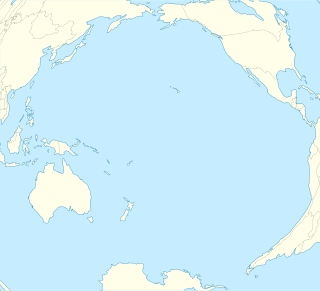 Rano Rahi is a field of seamounts in the Pacific Ocean. 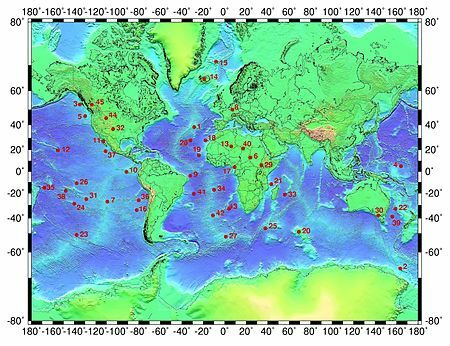 These seamounts in part form a series of ridges on the Pacific Plate pointing away from the neighbouring East Pacific Rise and which were volcanically active until about 230,000 years ago, and possibly even more recently. 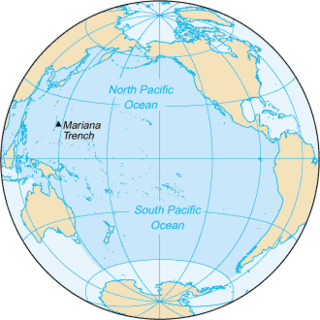 Crough Seamount is a seamount in the Pacific Ocean, within the exclusive economic zone of Pitcairn. It rises to a depth of 650 metres (2,130 ft) and is paired with a taller but overall smaller seamount to the east. This seamount has a flat top and probably formed an island in the past. It is about 7-8 million years old, although a large earthquake recorded at its position in 1955 may indicate a recent eruption. ↑ Vezzoli, Luigina; Acocella, Valerio (2009-05-01). "Easter Island, SE Pacific: An end-member type of hotspot volcanism". GSA Bulletin . 121 (5-6): 869–886. Bibcode:2009GSAB..121..869V. doi:10.1130/B26470.1. ISSN 0016-7606. ↑ W. J. Morgan (1971). "Convection Plumes in the Lower Mantle". Nature. 230 (5288): 42. Bibcode:1971Natur.230...42M. doi:10.1038/230042a0. Haase, Karsten M.; Peter Stoffers; C. Dieter Garbe-Schönberg (October 1997). "The Petrogenetic Evolution of Lavas from Easter Island and Neighbouring Seamounts, Near-ridge Hotspot Volcanoes in the SE Pacific". Journal of Petrology. 38 (6): 785–813. doi:10.1093/petrology/38.6.785.